Seeing how my aunt and uncle were so gracious enough to let Viv and I stay at their place while in the Bay Area, we thought that treating them to a meal was in order. But where? No, I was not going back to Mayflower, despite his love for the place. This time, I really wanted something different. Okay, they like seafood... and aren't afraid to eat with their hands... Bingo! The Boiling Crab! 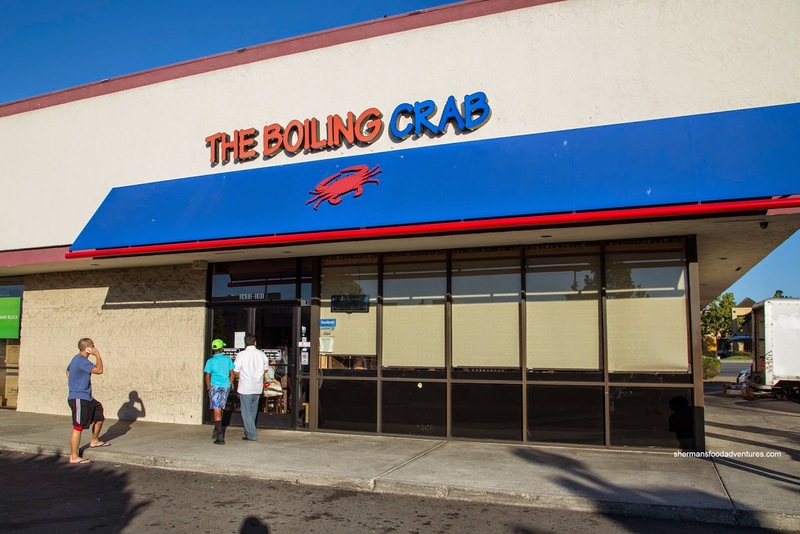 Ever since my meal at Crawdaddy, I wanted to check out the "more well-known" spot in San Jose. 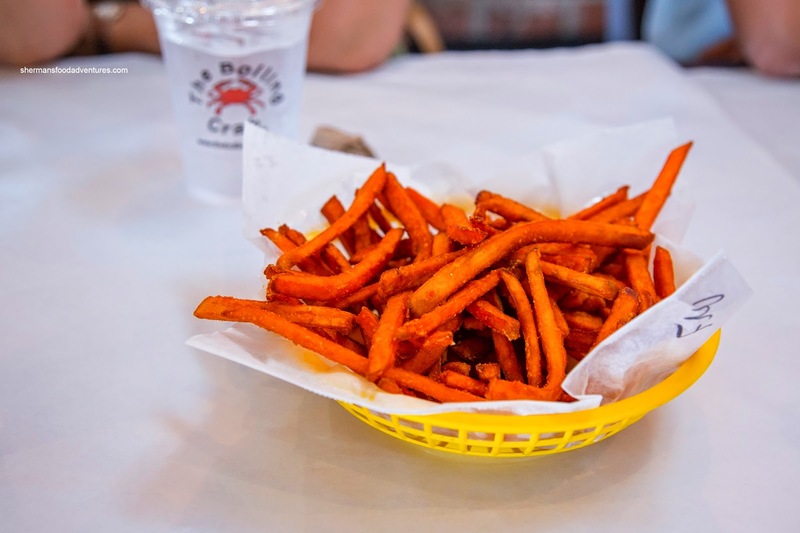 Before we got to the seafood, we started with an order of their Yam Fries. Yes, I know yam fries are as exciting as a late-night infommercial (do people watch those anymore? GLH anyone? ), but these were good. They were crispy on the outside and soft on the inside. They weren't overly greasy either. 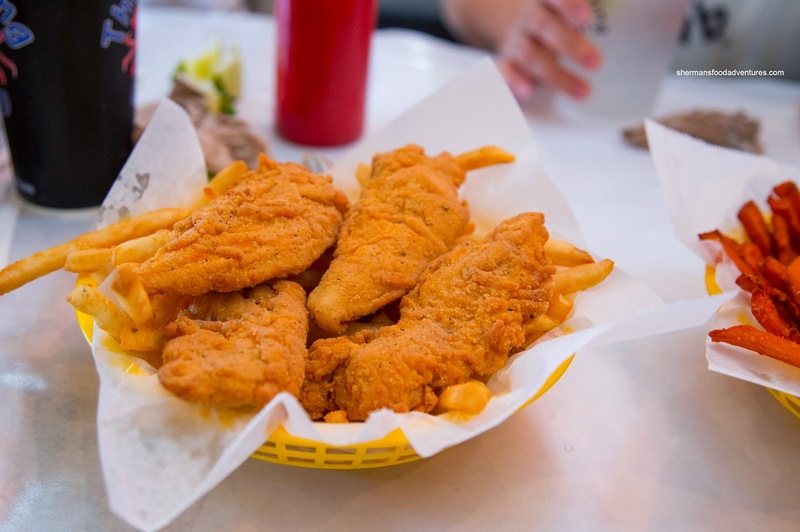 The kiddies didn't partake in the seafood feast, so we got them a basket of Chicken Strips and Fries. Well, remember what I said about the late-night infommercial? Basically, these did the job with large pieces that featured moist white meat coated with a crunchy batter. The fries were equally crunchy too. 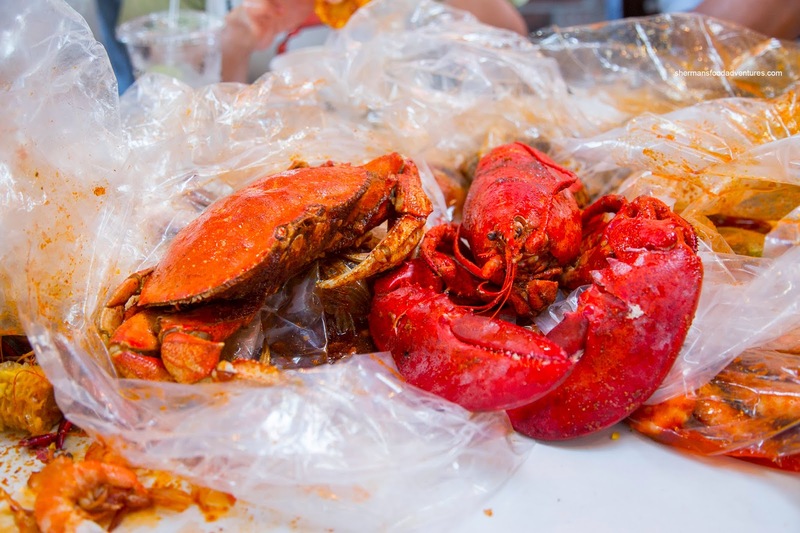 For the boil, we got Crawfish, Clams, Mussels, Shrimp, Corn, Potatoes and Sausage (in the Whole Sha-Bang Sauce in mild). For good measure, we added a whole crab and lobster. We felt that the clams and mussels were money as they were plump and properly cooked. There was definitely enough meat to fill each shell, where the whole sha-bang sauce clung onto each piece. It was still spicy (even though we asked for mild) and full of garlic which was accented nicely by the limes with salt & pepper. The frozen white shrimp were pretty typical while the crawfish could've been more fresh as some were mushy. The crab was on point with fluffy meat. The lobster was a tad overcooked where it started to become rubbery. I liked the meaty sausage as there was just enough fat and spice. The medium-sized potatoes were done right while the corn could've used less time. 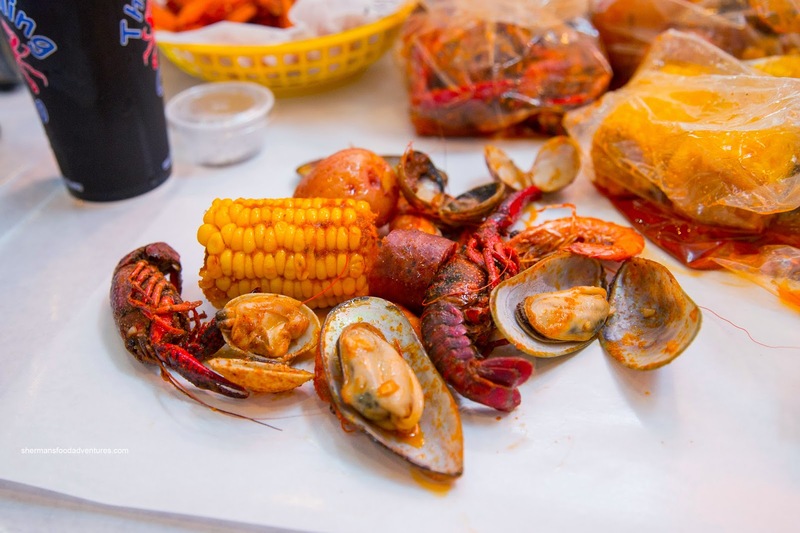 If I had to compare, The Boiling Crab has offered up the best seafood boil that I have tried. The combination of fresh seafood and flavorful sauce made me wanting for more.